PaTruckTags.com was built to assist you through the registration process. This site should be able to help you through the basic registration process. You should keep in mind that while the basic process may appear fairly simple, our experience has shown us that every registration has it's own unique issues. PaTruckTags.com is here to answer any questions you may have. Before you get started, it's always helpful to have as much information together as possible. This checklist will help you know what to expect. The title is not necessary if it is already a PA title in your name and you do not need to make any changes. We can assist in requesting the title from your lienholder if the title is necessary for the transaction. We need to submit proof of insurance for the vehicle you are registering. Bobtail only insurance coverage is not acceptable. We must submit a copy of your lease agreement if you are leased onto a company. The lease must show certain information to be acceptable. Please use the lease addendum for the most efficient and accurate way to provide this information for your registration application. You must provide 3 acceptable proofs of address that verify your physical location in Pennsylvania. Copies of these documents must be submitted with your application. You must provide your EIN for the application. Your DOT number is required for the application. The MV41 must be completed by a PA inspection mechanic qualified to inspect your vehicle. This form must be submitted for any Non Pennsylvania title applications. IRP registration expires on May 31. Your registration fees are prorated according to the remaining months including May multiplied by the monthly registration fee for your weight class. These fees must be submitted with your application. Any overage will be held by PennDot as a credit on your account. Any underage will result in a new invoice that must be paid before actual PennDot issued credentials can be recieved. This is only a summary of some of the information you may need for your transaction. How Many Months Will You Be Charged For? no additional information is necessary. valid decals must be displayed on your vehicle at all times and quarterly reports must be filed on time to avoid penalties. if you operate in New York State, you are required to maintain these credentials and file quarterly reports in a timely fashion to avoid penalties and fines. 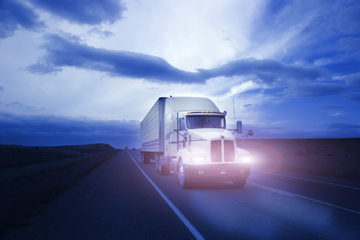 Unified Carrier Registration is required to be maintained unless you are only a vehicle registrant according to your DOT application. you must have an MC number if you plan to operate under your own authority and not under the umbrella of another company. Disclaimer: This information is strictly a generalized summary in plain english terms meant to assist you as a quick reference. For complete and detailed information regarding each of the services, please read the technical information provided directly from the associated authorities in the links provided.